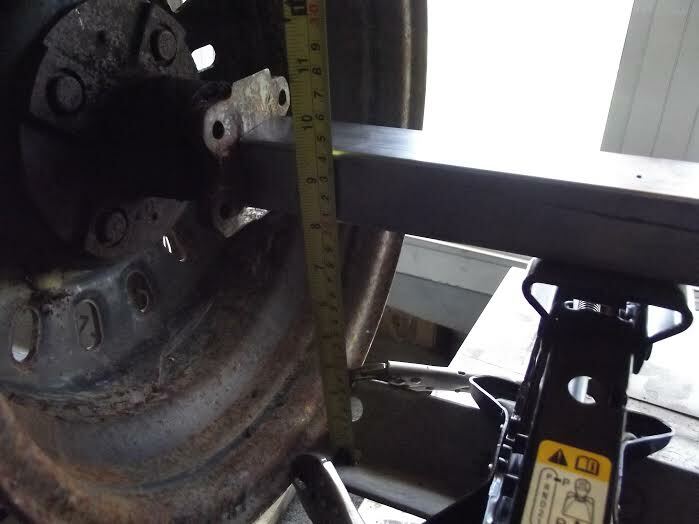 How To Get Your Trailer Aligned Properly! 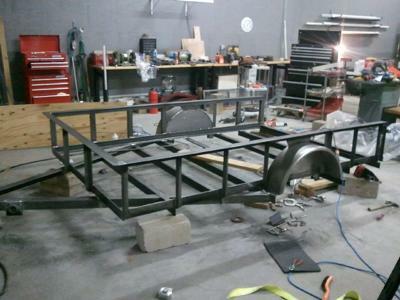 This trailer building tip is not for the body but for the axle. 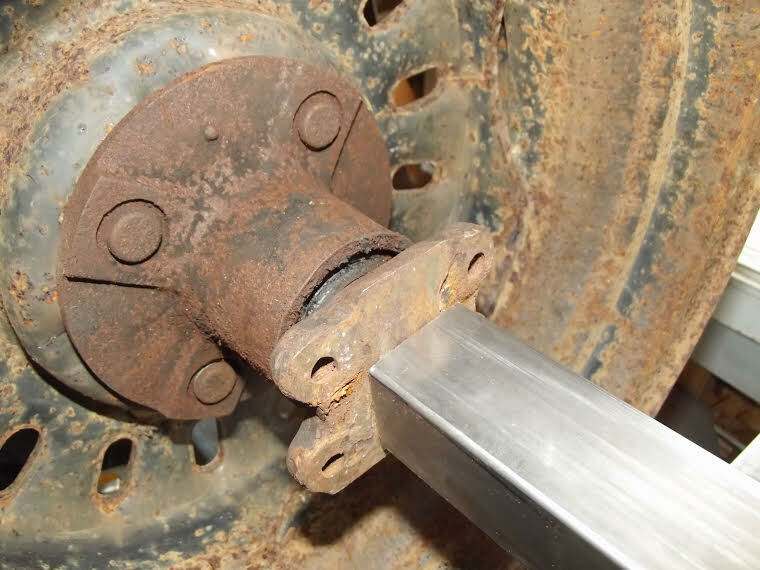 Lots of times people use the front stub axles off cars and weld a piece of square or round pipe between them for the axle. 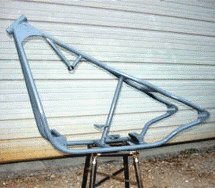 This is especially true for off road trailers, like ATV trailers. 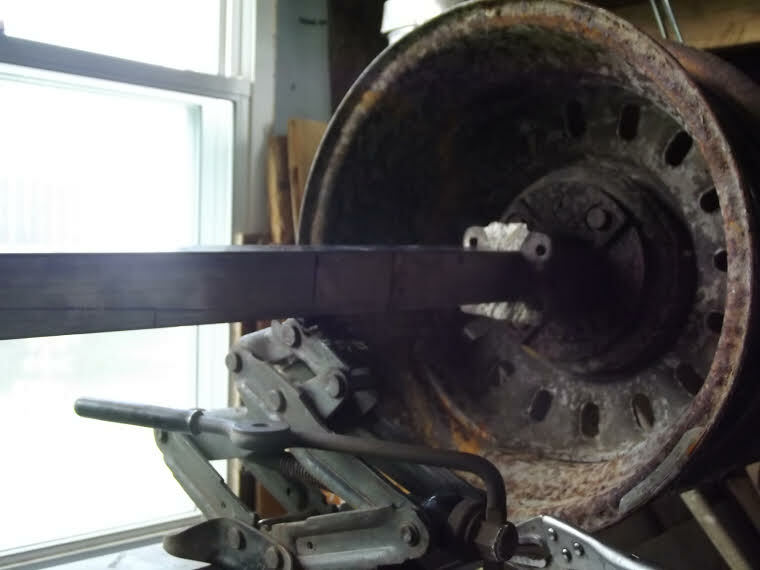 But the problem is aligning everything so your trailer will pull straight and true. Many people do a lot of measuring. etc. or they use squares, and so on. Here is what I have found to work perfectly. 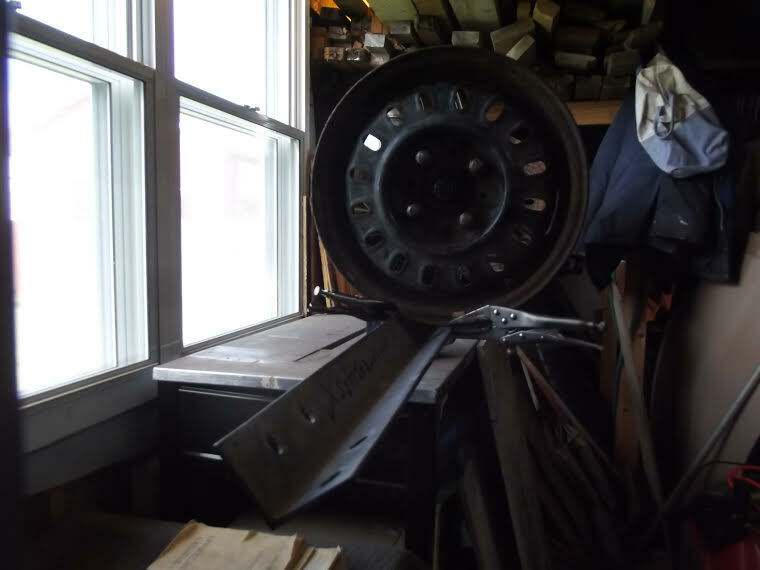 You need a very heavy duty piece of angle iron, 3 or 4 inch stuff 6 to 8ft. 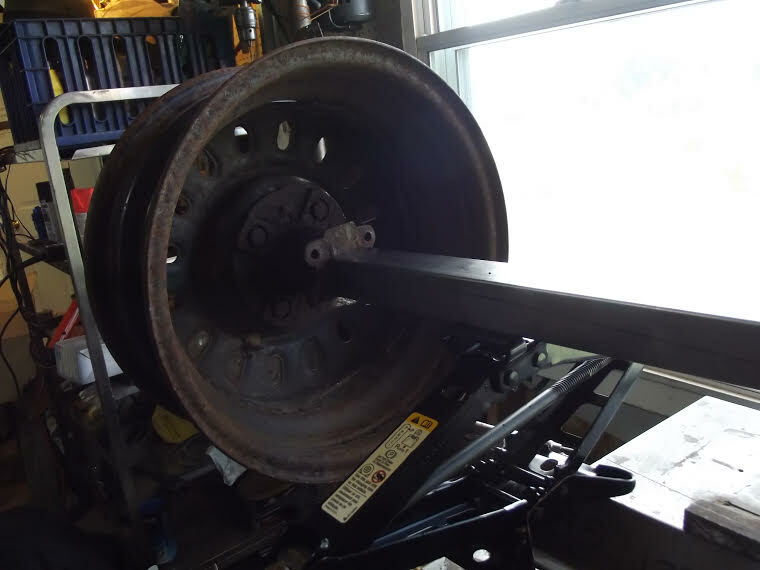 or so long, depending on how wide you want the axle. I got mine from a communications tower that was being dismantled. 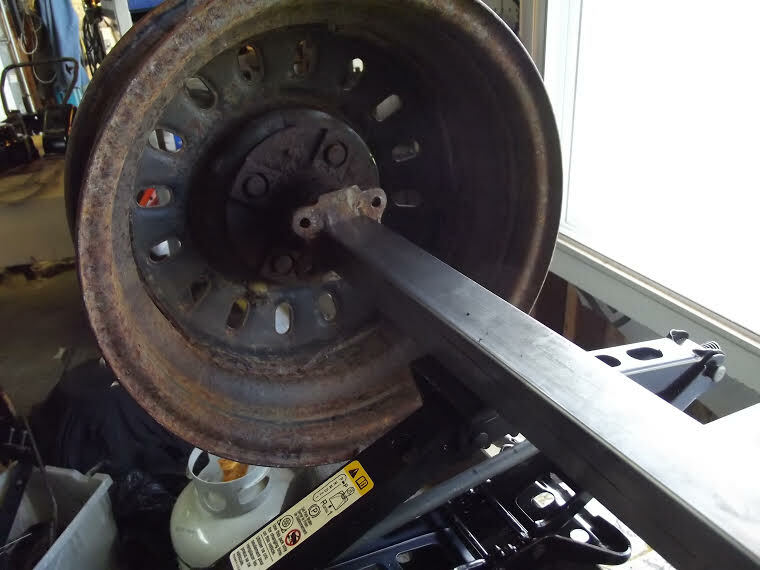 Then you need 2 jack stands, or car screw up jacks. 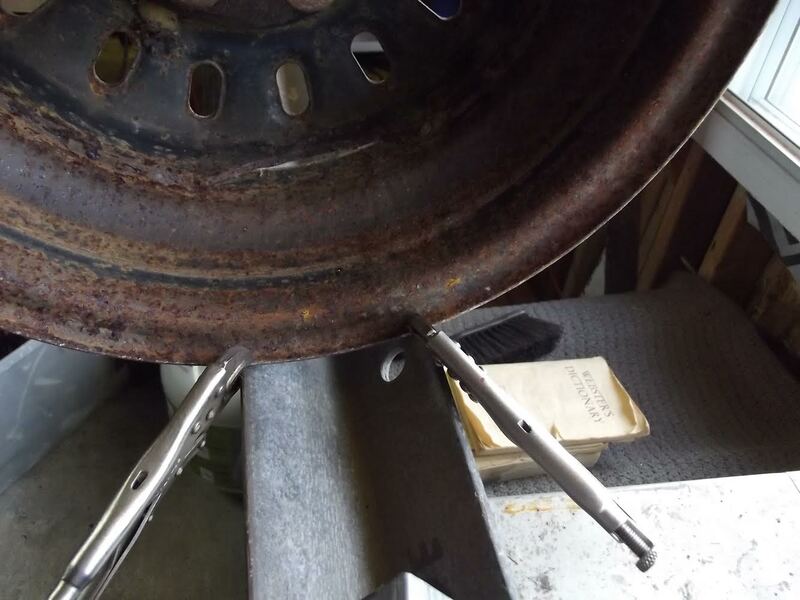 First: take the tires off the rims, and bolt the 2 stub axles to them using the lug nuts. 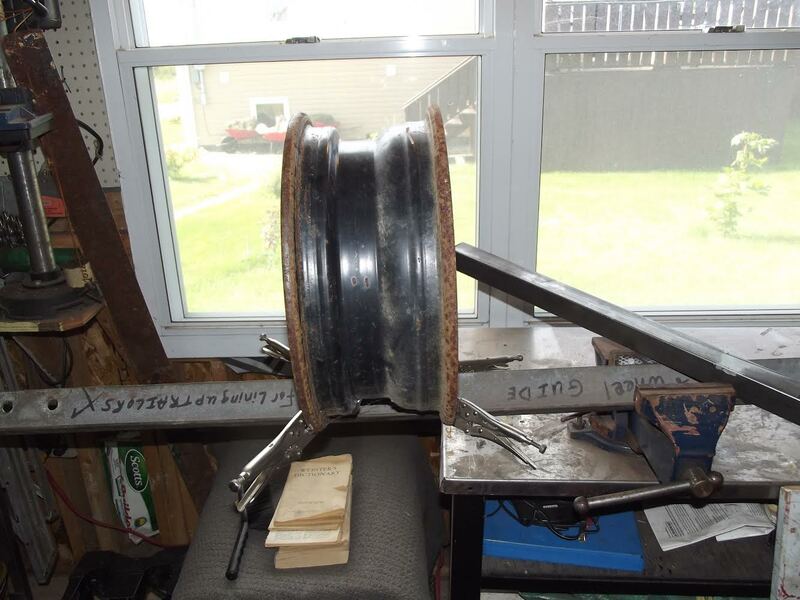 VERY important that the wheels and stub axles are straight and in perfect condition. 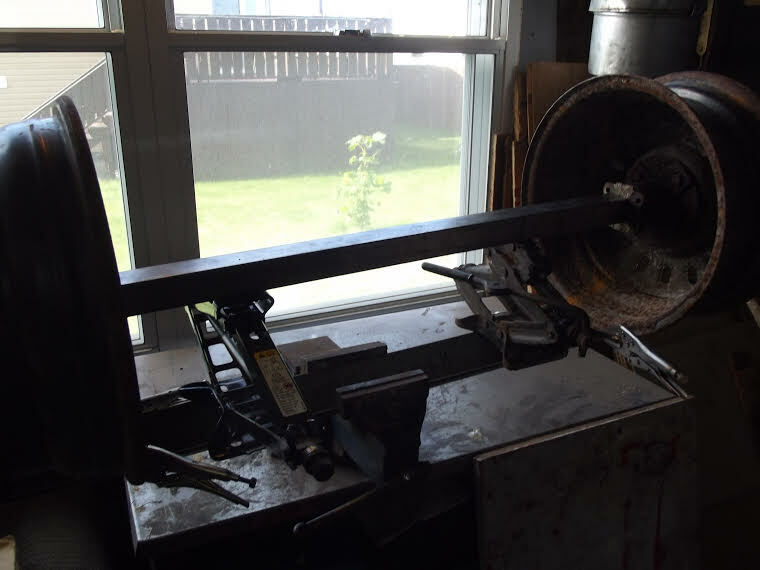 Second: clamp the angle iron to a bench vice or work mate, or something that will hold it steady. 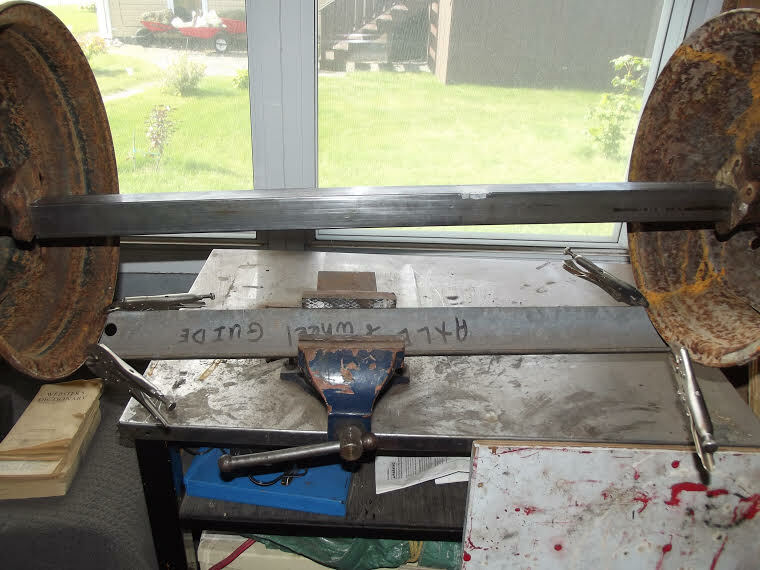 With the vice for example you would need to put the center of the angle iron in the vice with the V facing up like so V.
Next clamp the wheel across the v of the angle iron about 1/2 the length of the axle to the left or right. The wheel will touch the V in 4 places where the tire bead seats. 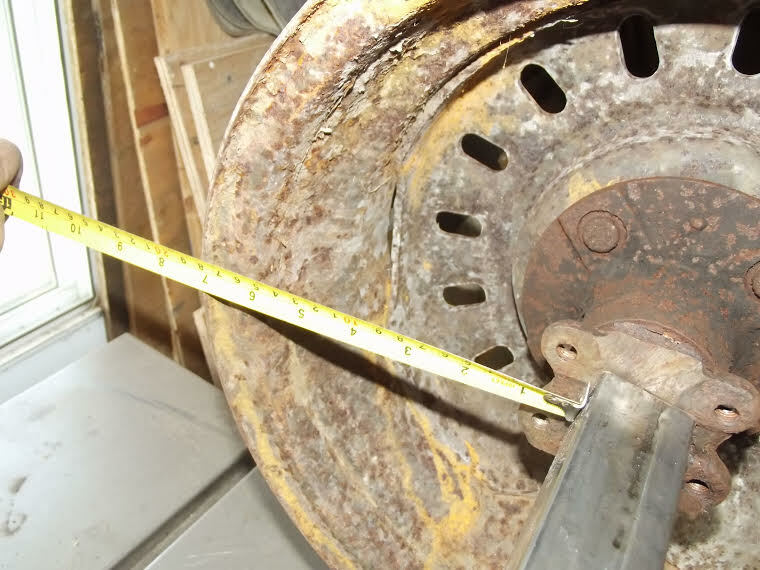 Make sure the 4 points of touching are clamped evenly and straight, firmly held in place. 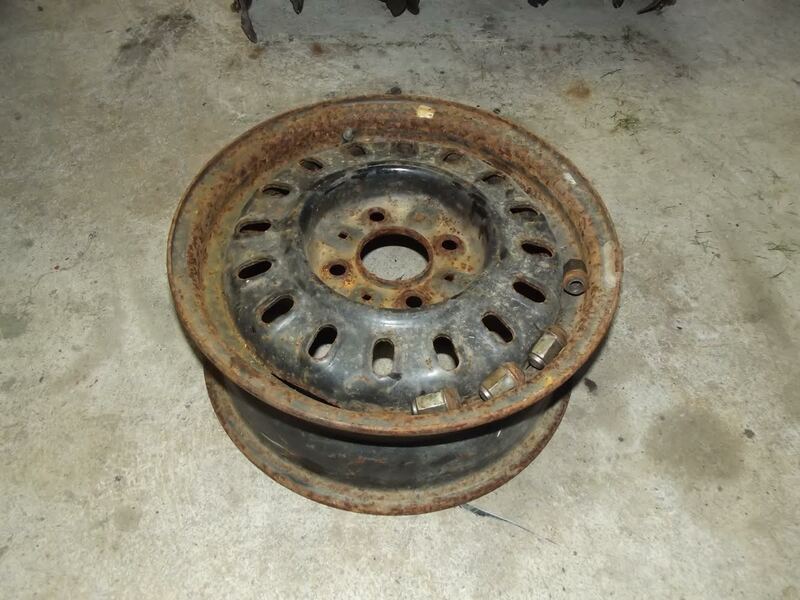 Then place the second wheel on the other side with the back side of both stub axles facing each other. 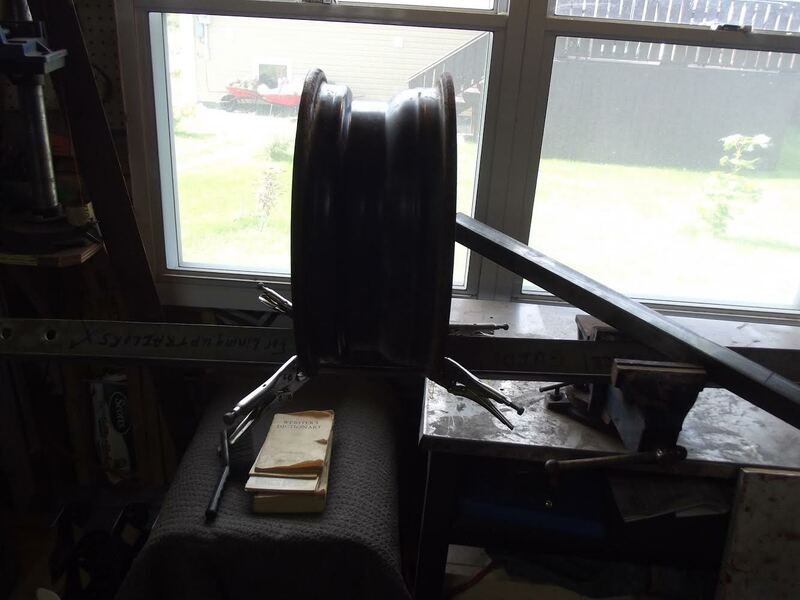 the V of the angle iron , each one about 1 foot back from each wheel then rest the axle on the tops of the 2 jacks and pull the rim that is not clamped yet inward until the axle is snug up against both stub axles. 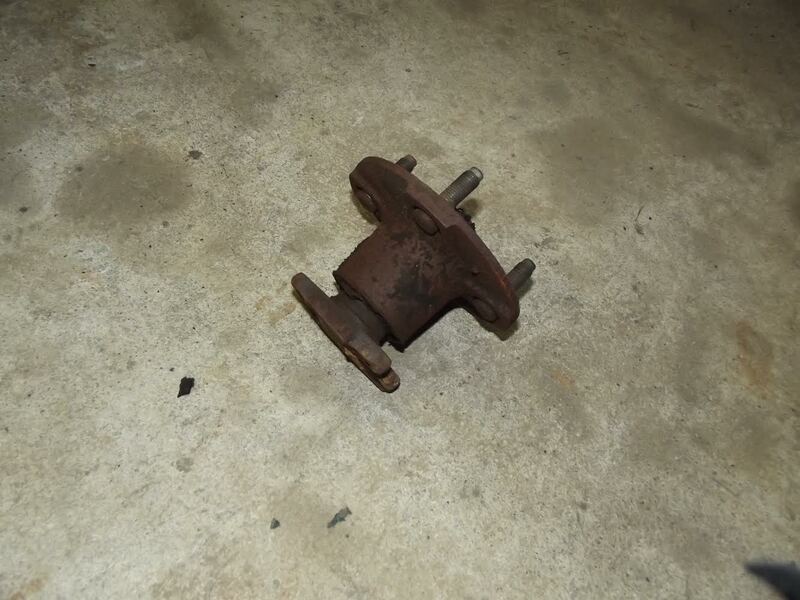 Adjust the jacks until the axle touches the two stubs in the same place and exactly where you want them. 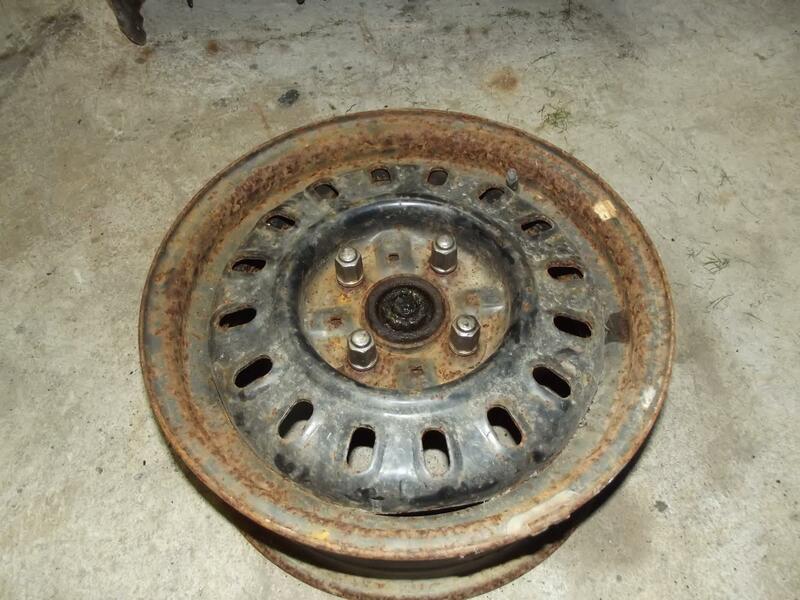 Clamp the last wheel as you did the 1st wheel. 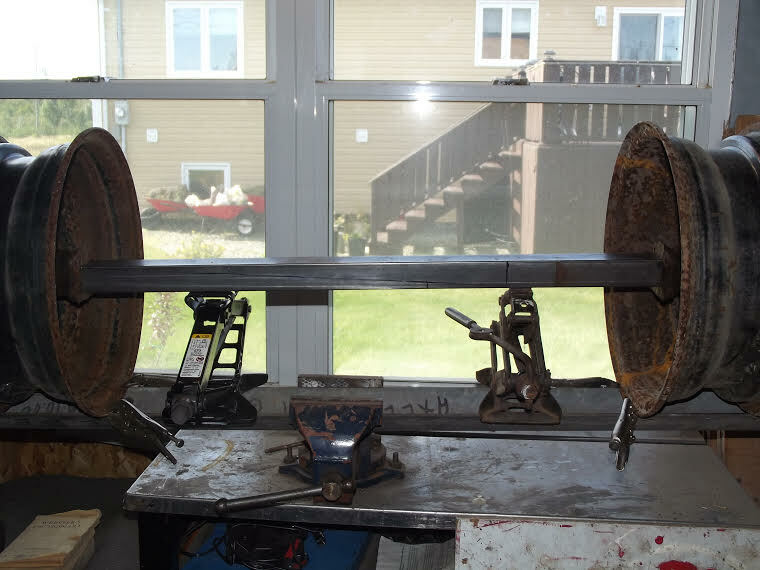 Then tack weld (all around) the axle onto the two stub axles. 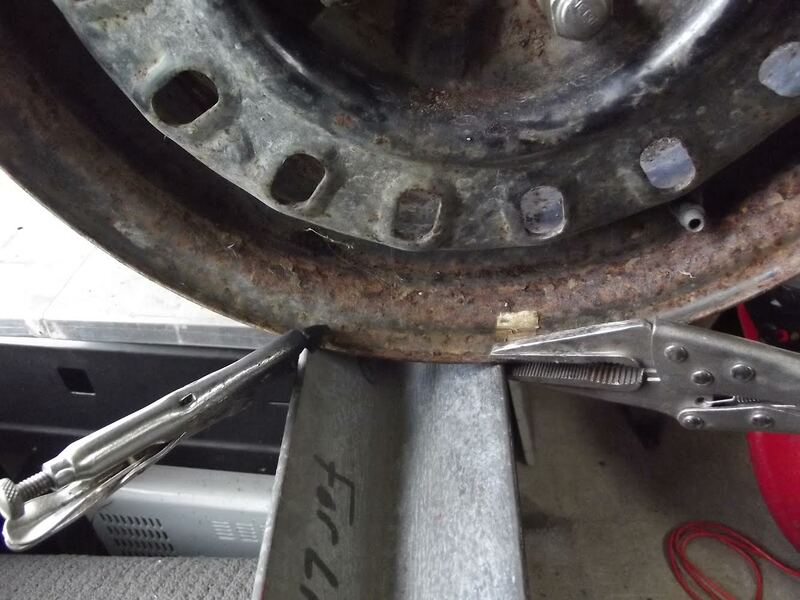 then remove the two jacks holding up the axle and finish your welding. 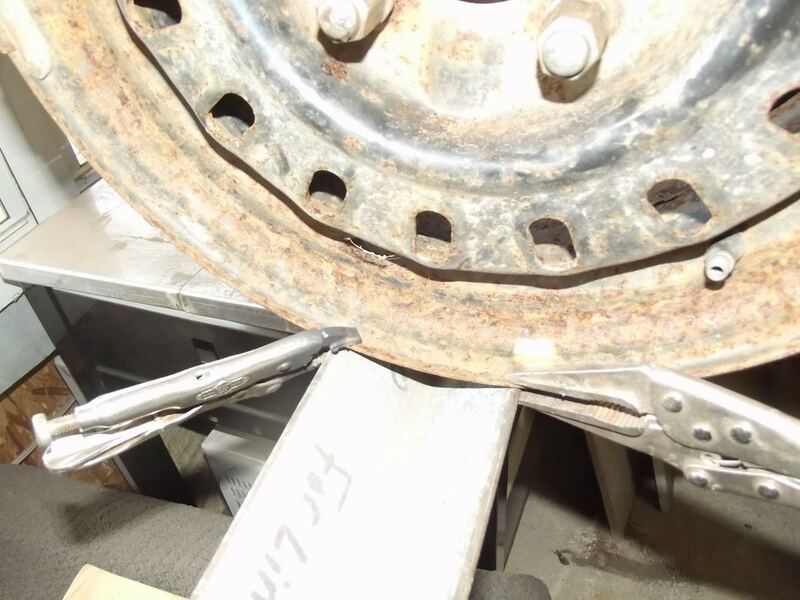 If you did your clamping correctly and your stubs and wheels are straight and true, your wheels and axle for your trailer should be perfect up and down, in and out over and across. 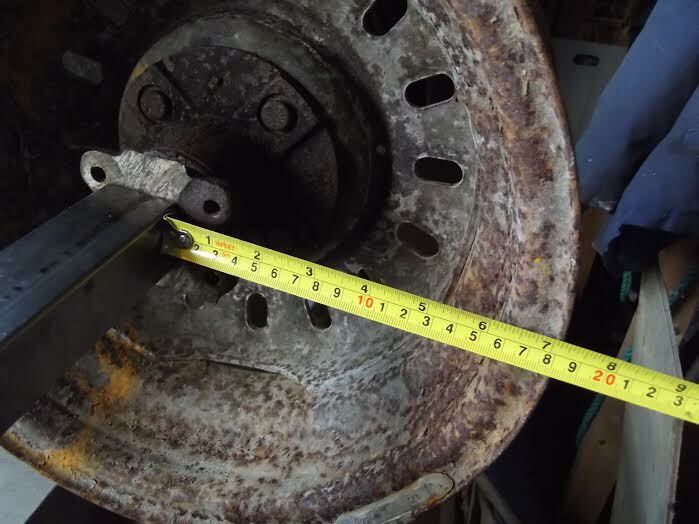 Bye the way, I forgot to mention that you would need to measure from the sides of the axle to the edge of the wheel on all 4 sides to make sure the distances are the same and also the same on both wheels. 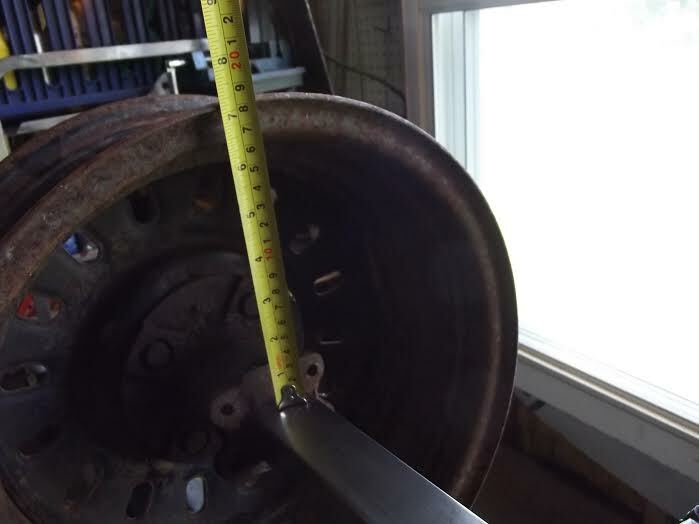 Again, measure the distance from the axle to the edge of the wheel in all 4 directions (top sides and bottom making them equal in length on both wheels) as I did. These pictures are of just some old stuff I found around the shed. 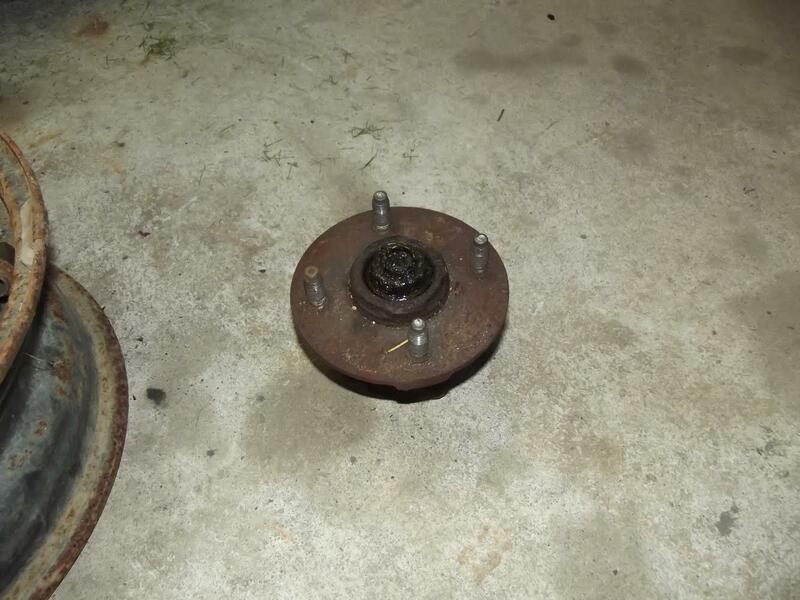 It is rusty and no dust caps on the hubs, but it should help give you the idea of how it is done. 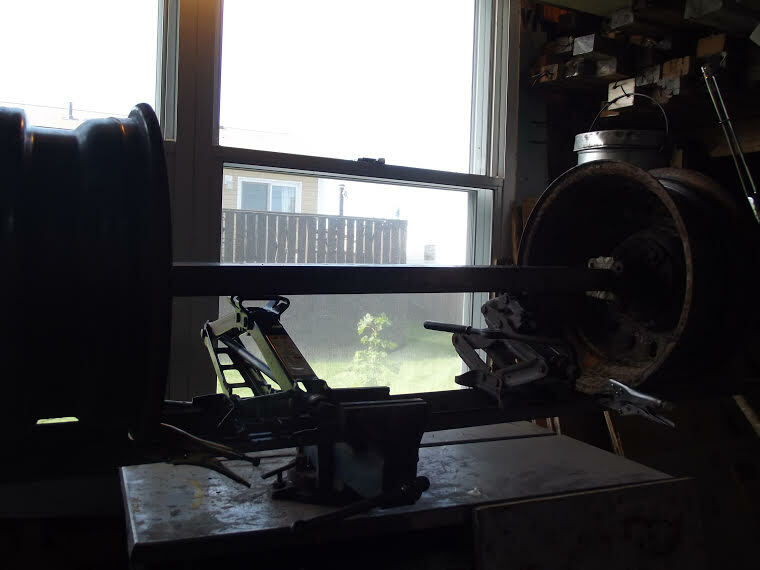 I also wanted to add the fat that you should take some measurements so the axle will be centered on both wheels. Just to reiterate, this is just some old stuff that I found lying around and it is just to give people an idea of how it is done. 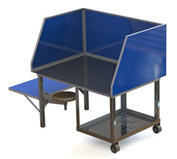 These following pictures are hurried and only for demonstration purposes. 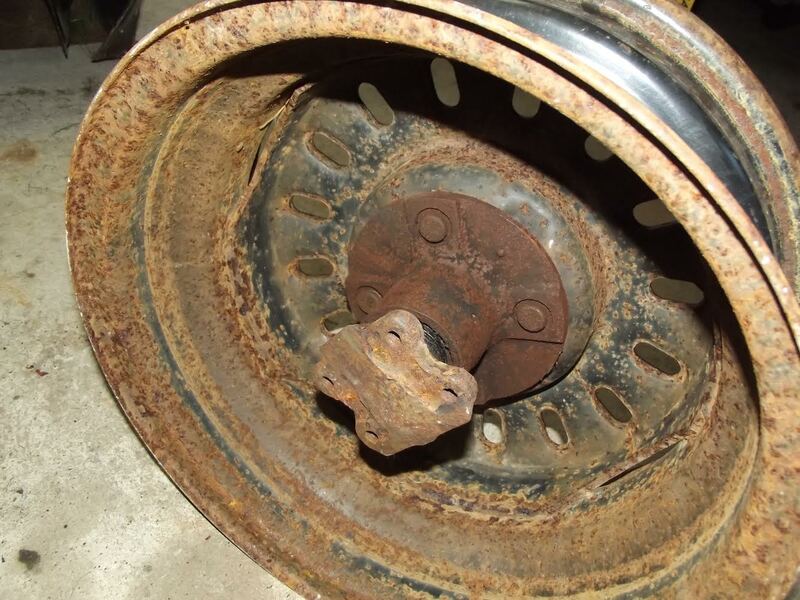 Comments for How To Get Your Trailer Aligned Properly! OK, I am not much of an artist, but I will see what I can come up with in the next few days. I will try to set something up and take some pictures in the next few days. If I can't get it done by then it will have to wait until after Oct. 4 cause I am coming to California on Sept 6th until then and I live 6,000 miles away. Okay, I'm not a rocket scientist. I'm thinking I will need this soon ! Can someone please set up diagrams, more than one, how this work is done. Thanks. Join in and write your own page! It's easy to do. How? Simply click here to return to Trailer Tips.